Fred Wilson explores such ideas as communication, cultural perception, barriers to understanding, and the invisibility of black America. 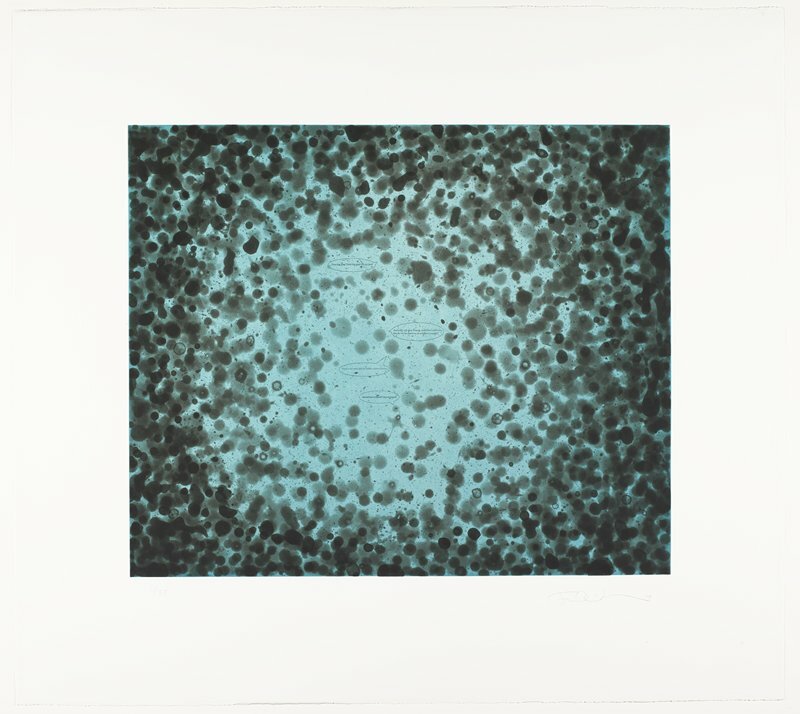 In this print, he creates fluid arrangements of spots and splashes, touching, overlapping, and forming masses, as a metaphorical matrix for his ideas about cultural dominance and race. For Wilson, the various ink spots represent the individual voices of the countless unheard voices of the African American community. The etching also features a series of what Wilson calls "conversation bubbles," containing the words of black fictional characters created by white authors. By Wilson's account, these "voices" participate in a conversation and help shed light on African American experience. Crown Point Press, San Francisco (publisher); sold to MIA, 2008.